This silver foil Takrut amulet from Pra Ajarn Dtecharangsri is specifically created and empowered using Ancient Lanna Magic to force luck and winning streaks, as well as being an extremely powerful Maha Sanaeh attraction Charm too. From Lanna Magical Master Pra Ajarn Dtecharangsri. This Pure Silver Takrut amulet Comes already encased in transparent tube casing with stainless steel caps (two ring belt cord style). 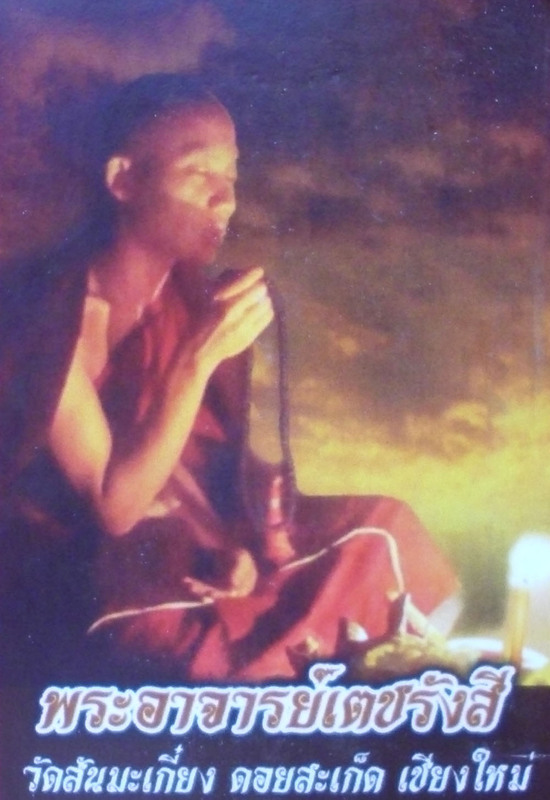 The Takrut will warn and advise by vibrating when Luck is coming, when you ask the Takrut to perform this duty by making Bucha to it before leaving to do your Gambling, or Mate Seeking. No Kata Chanting is necessary, the Takrut works by itself.